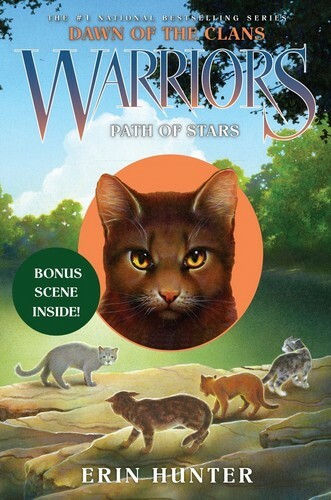 Warriors Dawn of the Clans book 6: Path of Stars. After moons of deliberation and strife, the forest बिल्ली have settled into five camps. But now the dangerous rogue स्लैश has kidnapped तारा, स्टार फूल and made demands for prey that the forest बिल्ली cannot afford to meet. Clear Sky is desperate to save his mate. HD Wallpaper and background images in the Warriors (Novel Series) club tagged: photo. This Warriors (Novel Series) photo contains मोबाइल फोनों के लिए, हास्य पुस्तक, मंगा, कार्टून, एनीमे, कॉमिक बुक, and manga. There might also be समाचार पत्र, कागज, पत्रिका, अखबार, खपरैल, अख़बार, चीर, and पत्र.